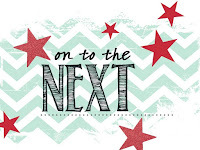 Just Julie B's Stampin' Space: Creation Station Blog Hop - Metallics Gone Wild! 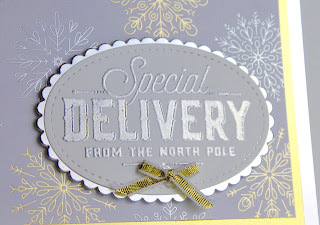 Creation Station Blog Hop - Metallics Gone Wild! 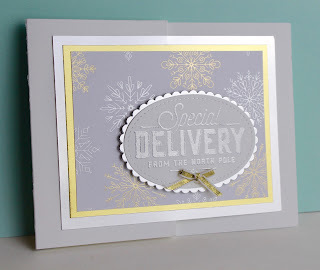 Welcome to Creation Station's Blog Hop for the month of December! We are focusing on Metallics! 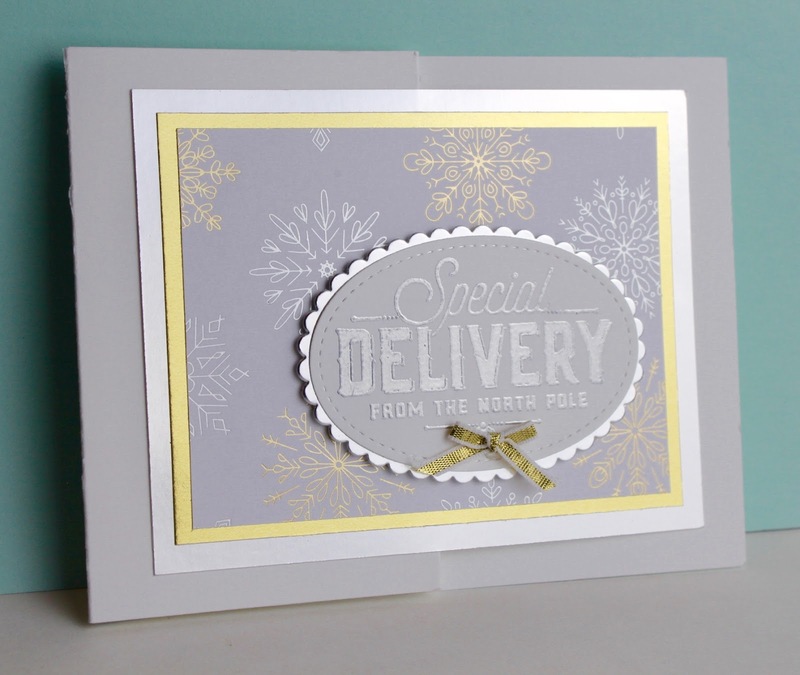 So with Christmas coming, I decided to make a Christmas card (with a fun-surprise inside!). But, back to the card, Silver and Gold... in it's finest! The card is really Silver, Gold and White (not gray, if only lighting and my camera would give me some help in showing that!)! 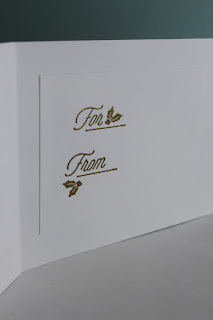 I love the simplicity, but elegance to the look of this card! And for the fun-surprise inside - a gift holder slotted pocket! I scored the base of the card at 2-3/4" and 5-1/2". And, on the 2-3/4" end, I pushed the Classic Label Punch all the way in (till it rested against the cardstock edge), and punched. I moved it over a bit and did the same - to create a little bit wider Classic Label. And then I used Tear& Tape to seal down that edge to the card inside. - Wahlah! - a beautiful snug little pocket for a gift card, or maybe cash. 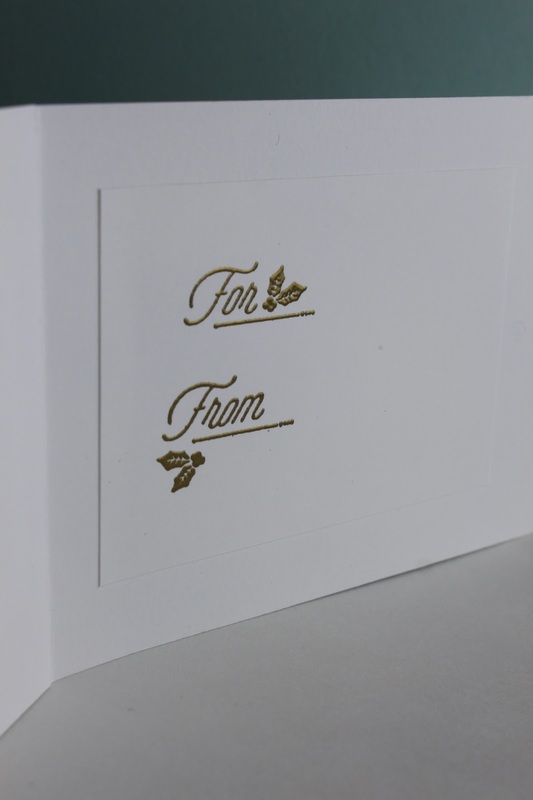 And, finally, I added a gold embossed For, From from the Merry Little Labels set as well - for a quick inside! Such a beautiful card. 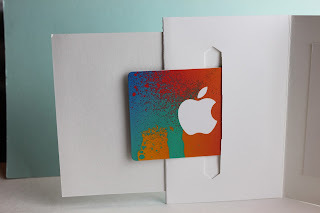 Love how you added the gift card holder, too. 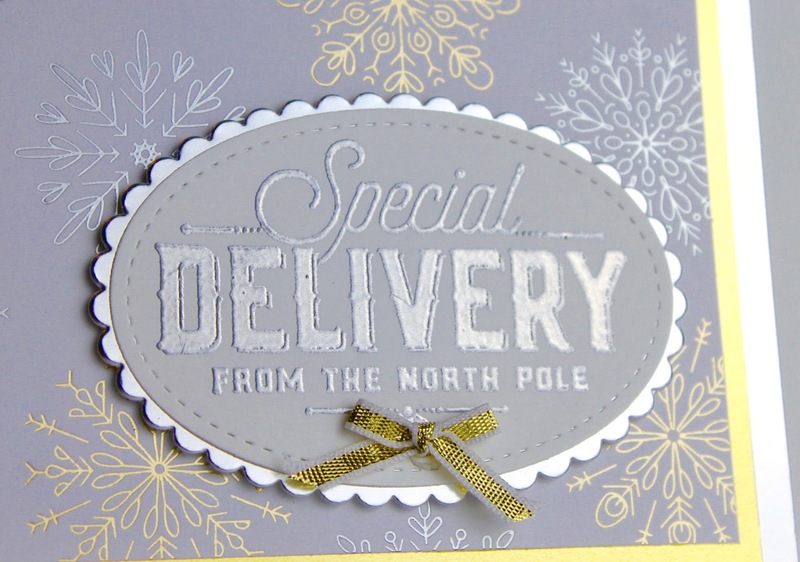 Whether you used silver and gold on Whisper White or silver and gold on Smoky Slate, your gift card holder is lovely. Just a beautiful card Julie! Really sophistacated!